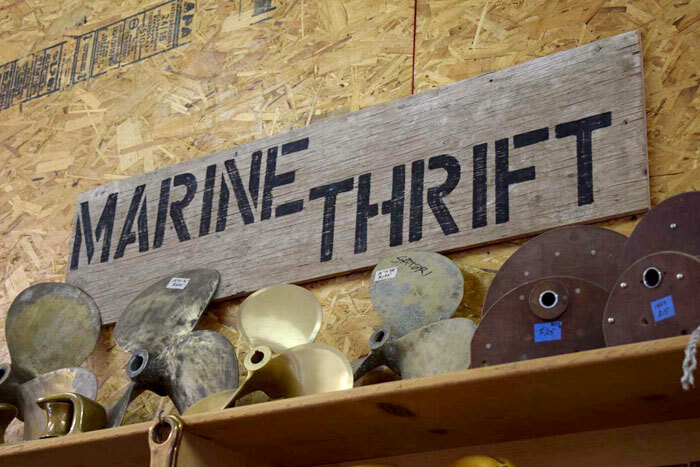 Marine Thrift is a place where builders, sailors, DIYers, and the curious can find amazing deals on hardware, tools, and all kinds of other interesting boat gear. 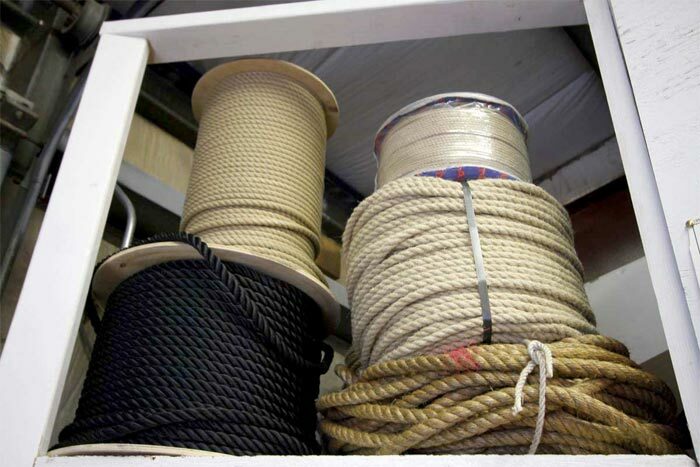 We keep good materials out of the landfill and in circulation while ensuring costs of boating stay accessible to many. 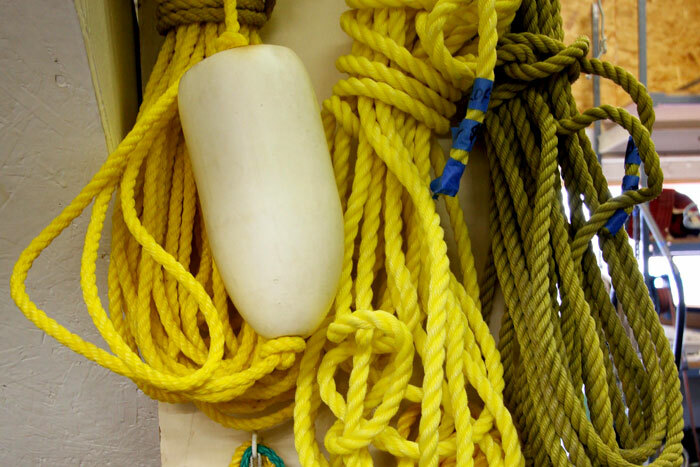 We support the Northwest Maritime Center’s mission and educational programs. 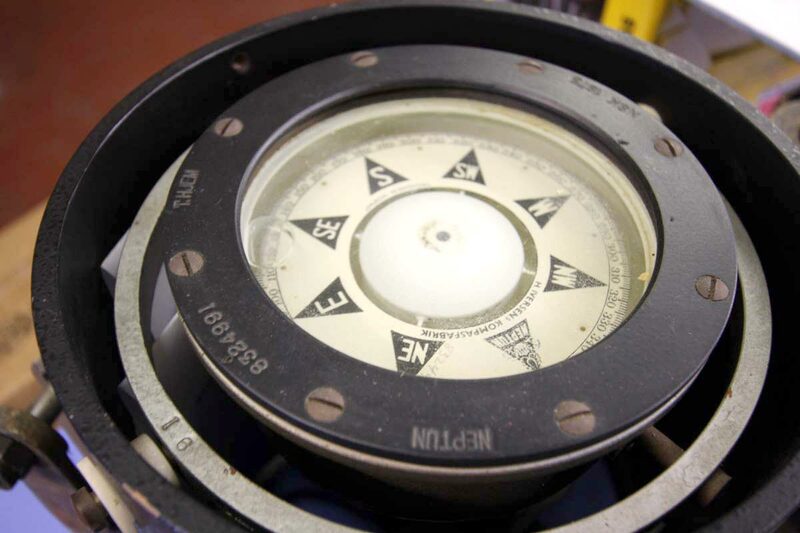 Are you a boat nerd or gear head with a few hours to spare each week? 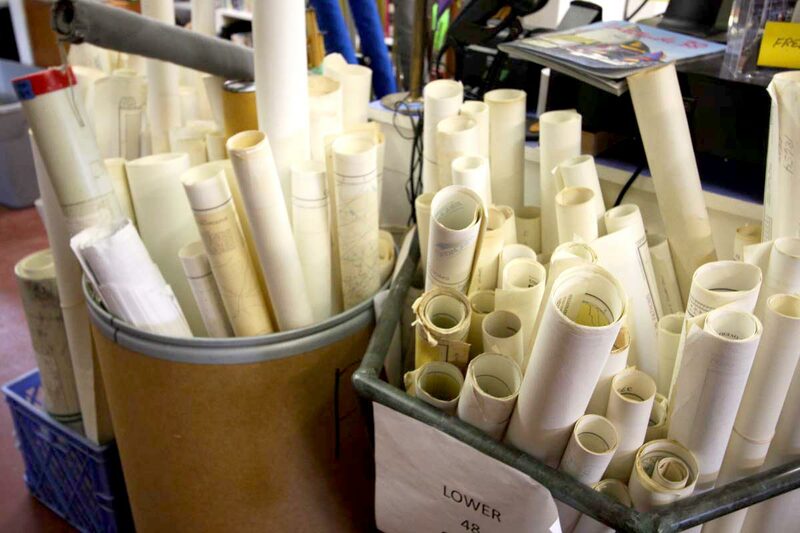 Marine Thrift is occasionally looking for volunteers like you! 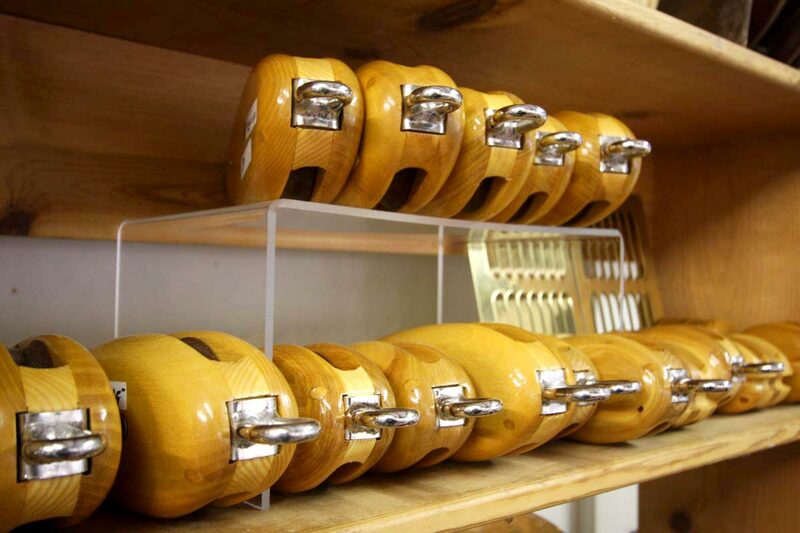 Keep boating affordable, hardware accessible, and contribute to the spirit of the boatyard. 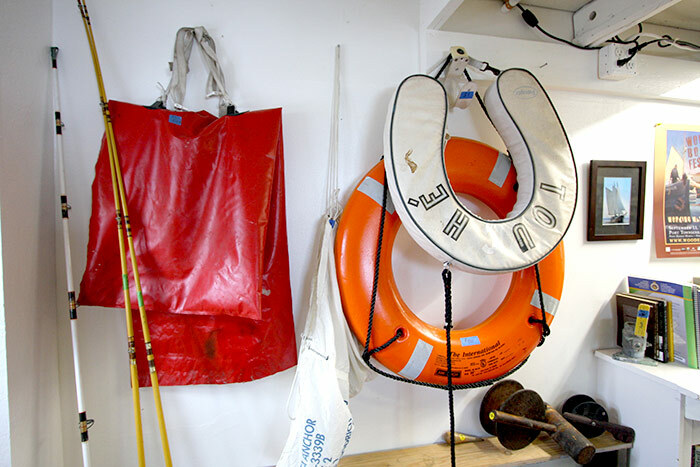 Email volunteer@nwmaritime.org or call 360.385.3628 x124 to start volunteering in the heart of Boat Haven. 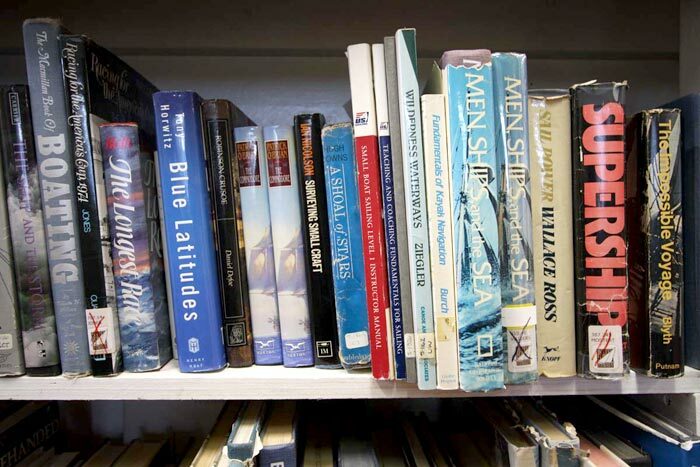 The Marine Thrift Swap Meet, organized by Marine Thrift and the Northwest Maritime Center, is an annual maritime swap meet located in the Boat Haven in Port Townsend. 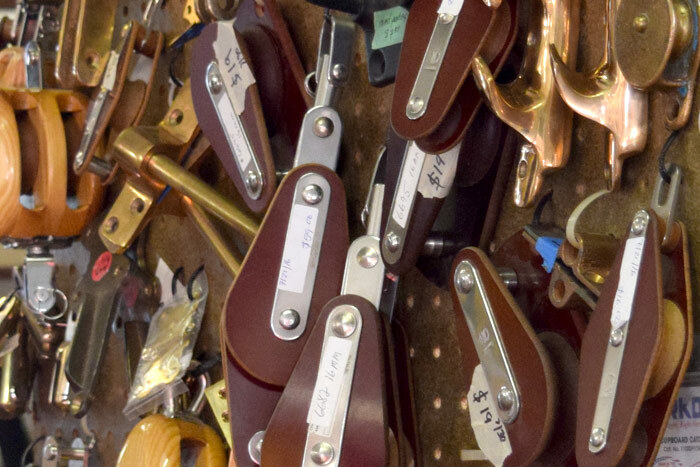 Bring your cash and stock up on used and useful tools, hardware, supplies, and more. 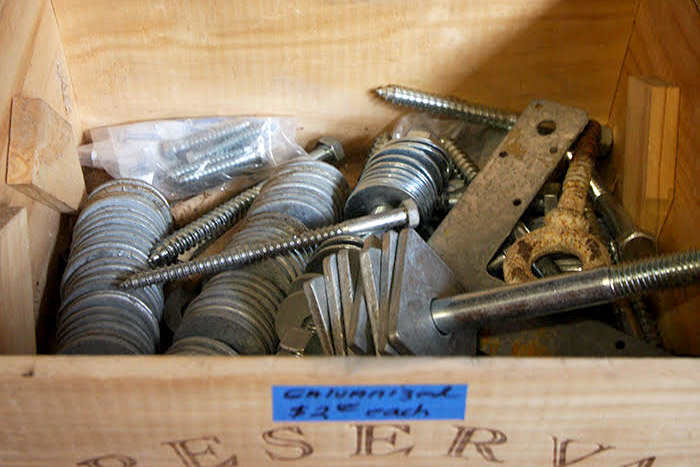 It’s free to sell at the Swap Meet, so clean out your shop, empty your garage and turn your old stuff into cash. 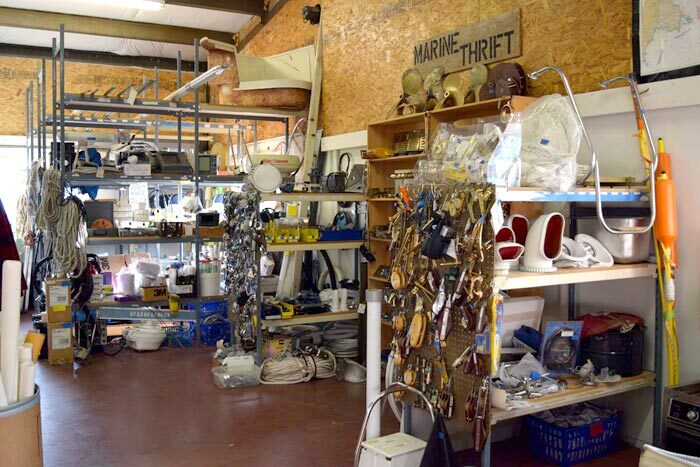 Learn more about the Marine Thrift Swap Meet. 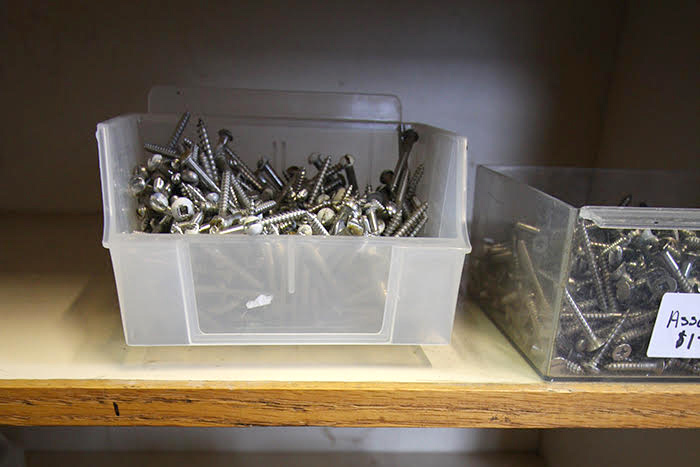 Clean out your garage or workshop and contribute your unused tools and hardware. We are a 5013c so your donations are tax deductible. We also accept contributions at the Wooden Boat Chandlery, 431 Water Street, Monday–Saturday, 10:00 a.m.–5:00 p.m. or email us with questions.